Labor Day is almost here. Like any holiday that involves food, I find myself thinking and searching for a new twist to dress up good old grilled chicken. 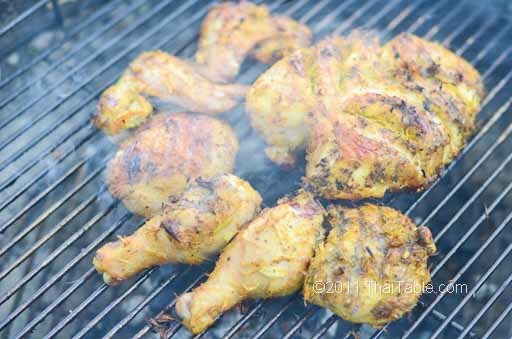 This grilled chicken with turmeric recipe always get lots of compliments. The turmeric gives the beautiful orange/yellowish color and the lemongrass gives the mouth-watering aroma. The Marinade: I use 2-inch piece of turmeric. Cut the lemongrass into 1-inch pieces. 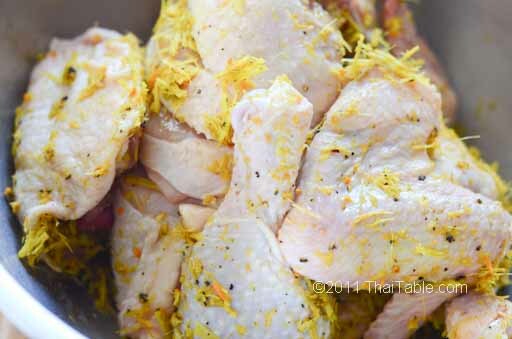 It will grind easier and won’t leave stringy marinade on the chicken. 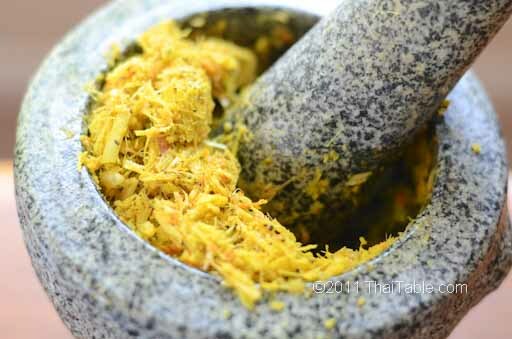 Grind the marinade (turmeric, lemongrass, peppercorns, salt and garlic) in a food processor or mortar. If you use the food processor, grind the peppercorns separately. They seem to escape the blade. 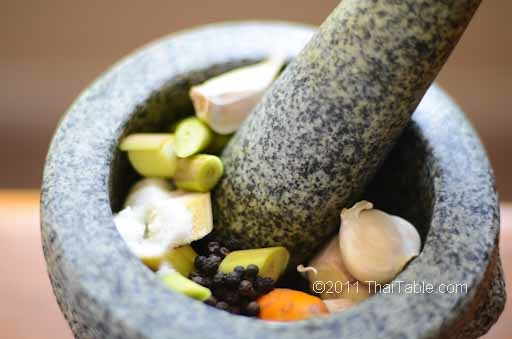 If you are going the mortar and pestle route, start with peppercorns, lemongrass and salt. Follow with turmeric and garlic. Garlic and turmeric have more water content which makes it hard to pound. The Chicken with Marinade: Get a 5-pound chicken. Cut up the chicken into pieces. Add the marinade and fish sauce to the chicken. I score the inside of the breast 1/2 inch deep, so that it will take the marinade and won’t taste so bland. Mix the chicken and the marinade well. Massage your chicken if you can. The marinade will go deep inside of the nooks and crannies. You can marinate the chicken overnight or at least 1 hour. An hour prior to grilling, let the chicken sit at room temperature to bring the chicken's temperature as closer to room temperature for even and fast cooking. 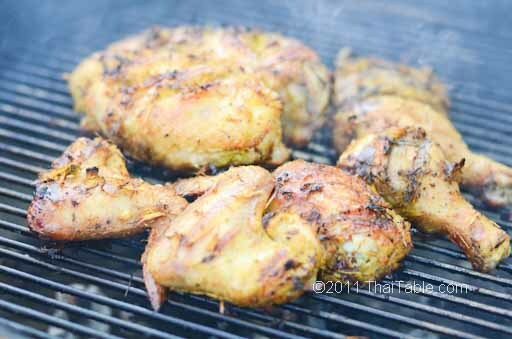 Grill your chicken on medium heat until done, about 45 minutes depending on the heat.